Owe too Much or Behind on Payments? If you're dealing with a property that is suddenly worth drastically less than you owe - or you're having trouble keeping up on the payments, we understand. This can be a scary and confusing time, filled with questions. Will a short sale help? Do I owe too much? Here, at the Goodman Group Las Vegas, we can help you get back on track, answer your questions, and guide you through what's best for your needs. For the quickest help, text or call us at 702-353-9292 for a Friendly Free Consultation where we can help answer any of your questions and help get you pointed in the right direction. If you'd like to learn a bit more first, then feel free to browse the information on this page that we've assembled for you as a helpful resource. Las Vegas Market Prices Have Risen! It's possible your home is worth more than you think! Use our FREE Property Valuation Tool to find out what your home is worth in Today's Market. When things become tough and you get behind on your mortgage payment, you run the risk of foreclosure. A foreclose is when the bank forces you out of your home by selling it for whatever is owed to them. In the event of foreclosure, many people decide to walk away from their homes. This may not be the best option. But there are options, rest assured. That is where we implement our short sale Las Vegas service. Up to $30,000 in your pocket! Goodman Group Las Vegas negotiates with the bank to get you the best deal out of your short sale! That means you can walk away with some rather than nothing. Our goal is to make your short sale as monetarily advantageous as possible. Our Las Vegas real estate team has been perfecting our process for around 19 years. When it comes to short sales, you never want to go through it alone. Our advice is this: Don’t negotiate with bank alone! 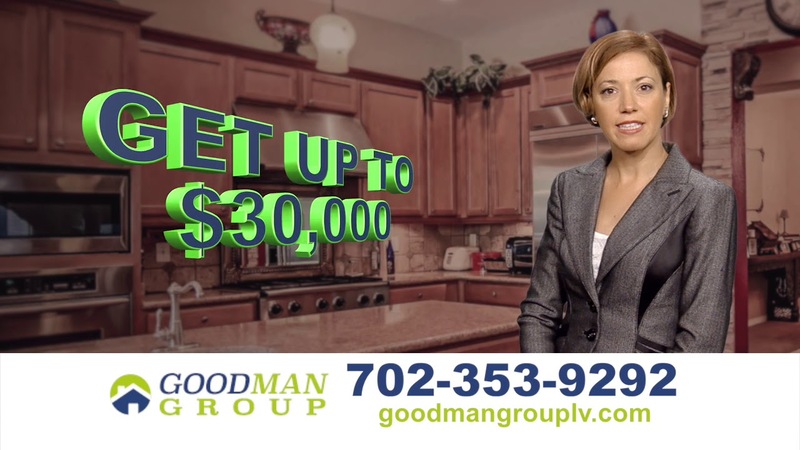 A short sale can be a viable option for you, and Goodman Group Las Vegas will be there for you every step of the way. Contact us today at (702) 353-9292.